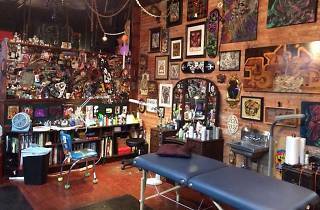 This combo tattoo studio and gallery in Fishtown notches points in the atmosphere column via its high ceilings and stations dramatically decorated with artwork, vintage toys and graffiti-laden skateboards. 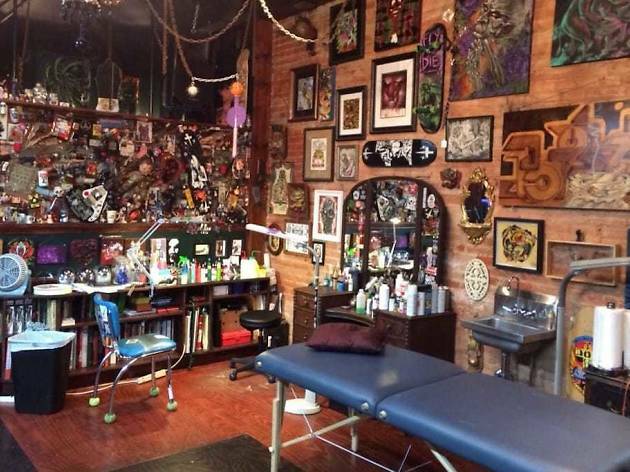 Open since 2010, it’s home to a number of highly respected body artists who go out of their way to make people feel welcome. Regular First Friday show openings make the Girard Avenue shop a draw for collectors of body and conventional wall decor.